Did you know that Grand Rapids has a world-class art school located downtown? Grab your pens, paper, canvas, colored pencils, easels and paint kits and follow us as we take you inside one of Grand Rapids’ most beloved colleges and learn about what makes it great. Founded in 1928 by a well-known Grand Rapids furniture designer’s wife, Kendall College of Art and Design (KCAD) has helped make Grand Rapids a city that loves its art. Kendall started the college in a Heritage Hill house, then moved north on College Avenue near Leonard Street. The college started gaining a reputation for furniture design and home merchandising after World War II, and solidified Grand Rapids’ position nationally in the two fields. KCAD began granting Bachelor degrees in 1981 and moved back downtown in 1984. To facilitate KCAD’s future growth, they merged with Ferris State University in 2001. Continuing its growth, KCAD purchased and renovated the classic, five-story, Beaux Arts federal building at Pearl and Division. Renamed the Woodbridge N. Ferris Building, this gem is LEED Gold certified and has earned numerous awards, including the Governor’s Award for Historic Preservation. Kendall College of Art and Design offers many programs and degrees for all walks of life. KCAD currently offers 17 undergraduate degree programs, including drawing, fashion design, furniture design, printmaking, graphic design, art, painting and medical illustration. All students must take courses in art history and fundamentals of art to complement their area of study. In addition to the undergraduate degree programs, KCAD offers five graduate degrees in architecture, art education, design, fine arts and visual and critical studies. KCAD also offers a postgraduate certificate in design and innovation management. Do you love art but don’t want to enroll in a degree program? No worries, KCAD has you covered there with a variety of classes for youth, adults, and professionals. Youth programs include painting, working with clay, comic illustration, photography, animation and jewelry fabrication. Most classes take place for several hours on Saturdays and start at around $149. For adults, an example of available programs include: photography, design, ceramics, watercolor painting and web coding. Adult classes are held at different times of the week and range in price from $175 to $349. Finally, for professionals, there are several courses offered, including SketchUp for designers, ACA Adobe Certification and Achieving Success for Human-Centered Design. These courses are generally around $150, but fees may vary. So there you have it–break out of your shell and learn some new art techniques. Maybe you have the next great superhero in mind that needs to be sketched out. Maybe you are the next Van Gogh–whatever artistic passion that lies beneath, KCAD has you covered with a wide variety of courses that will enrich and nurture your artistic side. 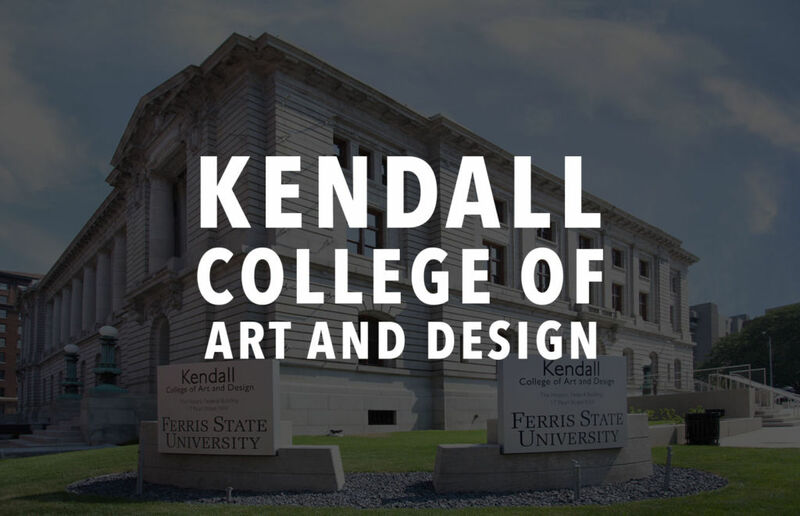 Learn More about Kendall College of Art and Design by visiting their website.